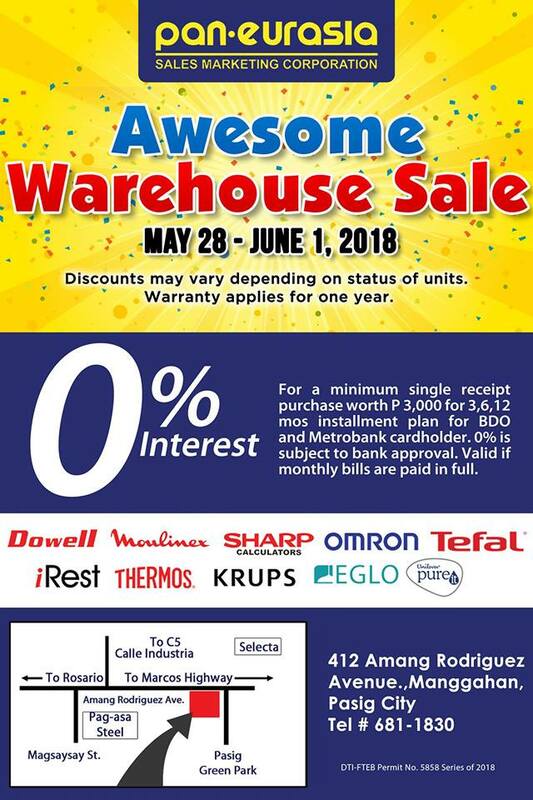 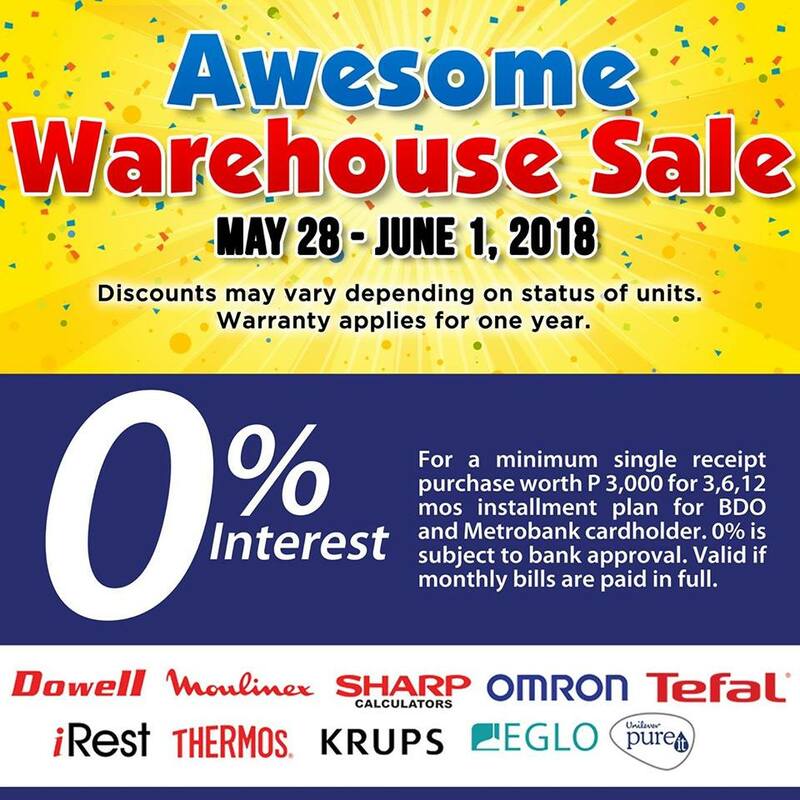 Check out the AWESOME Warehouse SALE happening until June 1, 2018 in Pasig City. Enjoy big discounts from great brands such as Dowell Appliances, Moulinex, Krups, Tefal, Sharp Calculators, Omron Healthcare, iRest Massage Chairs, Eglo Lights, Thermos, and Unilever Pure It. BDO and Metrobank credit cardholders enjoy 0% on installment with minimum single receipt of P3,000.